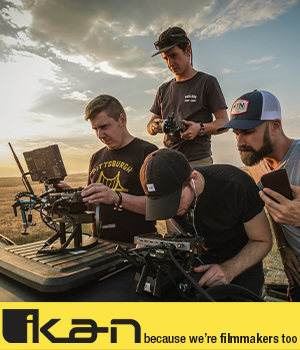 As digital photography has developed into the second decade of the 21st century, smaller cameras and lenses with greater resolution have been designed to make it easier to take a camera almost anywhere, including the most active lifestyles. A prime example is the recent PhotographyTalk.com article, Photography Equipment Review—The Nikon CoolPix AW100 Camera. One physical activity that is an exciting subject matter for digital photography is parkour. Created in France, parkour participants (known as traceurs) are most often shown vaulting, rolling, running, climbing and jumping through an urban environment of various obstacles, such as building roofs, walls and other infrastructure elements. Parkour provides the photographer with a unique combination of amazing, high-energy athletic performances in interesting urban landscapes. The following 10 tips will help you capture the incredible feats of traceurs successfully and sharpen your skills of photographing high-paced movement. Just as parkour is for the young and athletic, so is the photography of it. To record the dynamic motion of the traceurs, you must be fit enough to move with them. 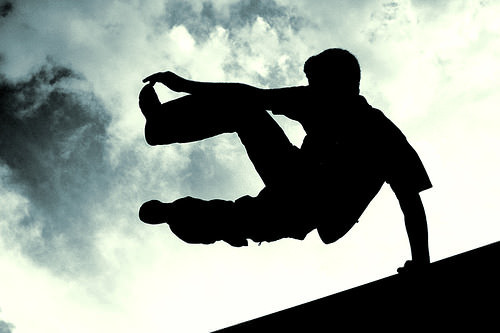 Much of the beauty and daring of parkour can only be captured by being close to the action. You must be tight on a traceur and near enough, so you have a choice of low, high and a variety of other angles. It’s virtually impossible to give parkour the respect it deserves as a photographic subject from street level and a static position. It only follows that if you will be moving with the traceurs through their routines, then you must dress as they do. You may have to do some climbing or find yourself in places that were not built for walking or standing. Comfortable, light athletic clothing that gives you plenty of room to stretch and move is the best choice, such as warm-up pants, T-shirts, etc. Top-quality athletic footwear is also a requirement, both to move and to give you a secure grip. You’ll also want a small backpack for your digital photography equipment. Reduce Your Gear to the Minimum. If you want to move with the traceurs, then you obviously don’t want much gear in that backpack. Leave tripods, light stands and most of your lenses and accessories at home. Depending on the situation or where you’ll be shooting, you may be able to bring one or two wireless flash units; but you should only do so if you know you will be using them for specific shots. Remember that even when traceurs finish one routine, they will probably move to a new location, which is another reason you don’t want to haul a load of equipment. Rely on a Single Zoom Lens. The best, most versatile lens for parkour is a zoom lens. Since the best position is close to the action, it’s unlikely you need much more telephoto focal length than approximately 200mm. You also want the focal length to include wide angle at the other end. There are many lenses in the 14–150mm, 18–250mm and similar ranges that would be appropriate to consider. Most parkour activities occur during daylight, so you should have plenty of illumination for your images shot at f/5.6. This will also give you more depth of field, which you’ll be glad you have, as the traceurs quickly move through the in-focus plane. Read Part 2 of this PhotographyTalk.com article for 6 more tips about photographing parkour.